Join the future bride’s party with this online video slot from Booming Games. The 5 reels and 3 rows will spin to reveal high-paying symbols like the bridesmaids or low-value symbols like various cocktails and party props. Discover any of the 20 paylines from the device of your choice with a starting bet of just €0.20. If you prefer bigger stakes, you have the possibility of raising it to up to €200. The Team Wild can substitute for all other symbols except for the Scatter. Unlock up to 10 Free Spins by landing 3 or more Scatters. During this bonus round, 10 extra spins can be won by landing an extra 3 Scatters. All symbols except the Scatter and the Wild can appear in stacks of 3. With an RTP above 95% and high volatility, this game has some surprises when it comes to payouts and awards. Why play it: What could be more fun than a party themed online video slot with pristine graphics, an RTP above 95% and high volatility? 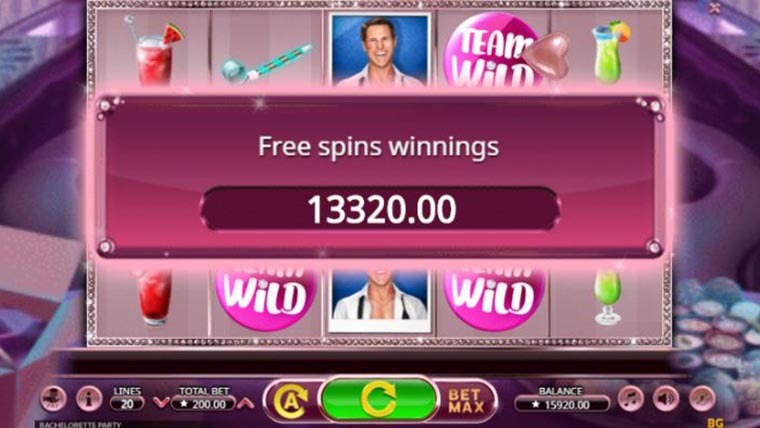 Add to that the fact that it has been developed by Booming Games, one of the top contenders when it comes to video slots design and you’ve got yourself a winner.